To be eligible to enroll at VCU, TCC students must meet admission criteria and hold a cumulative GPA of 2.5 or higher. Students must also complete a successful audition with the VCU Department of Music. 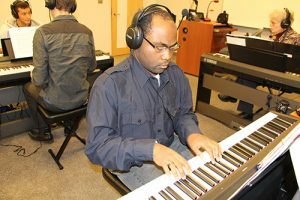 A new agreement between Tidewater Community College and Virginia Commonwealth University offers students a streamlined transfer process to obtain their bachelor’s degree in music. Following successful completion of a two-year Associate of Fine Arts in Music at TCC, graduates meeting the terms of the agreement are now able to transfer directly to VCU to work toward a bachelor of arts in music or bachelor of music with a concentration in performance. 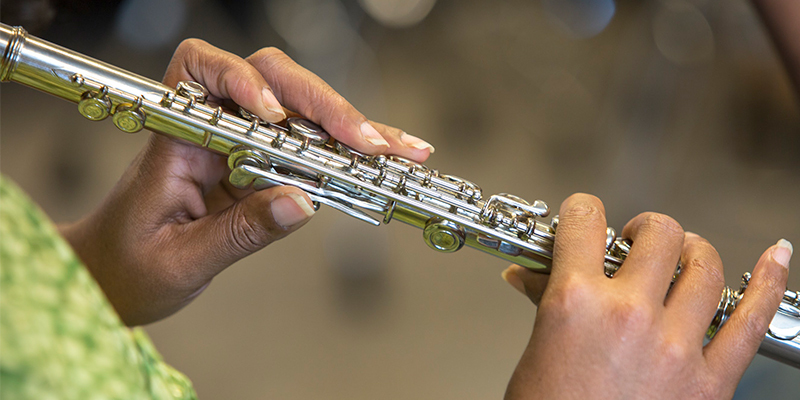 TCC’s 63-credit Associate of Fine Arts in Music (AFA) gives students a foundation in performance, music theory and history. It also provides opportunities to enhance skills in groups, such as chorus, orchestra or jazz ensemble. TCC is the first community college in the state to offer an AFA in Music. It is offered on TCC’s Norfolk Campus. The associate degree is designed for those interested in pursuing careers as music educators, sound technicians, performers, composers and music therapists. First-time college students who meet GPA and other requirements may qualify for a two-year transfer grant to apply toward tuition at VCU. The grant could be as much as $2,000. Interested students should contact the TCC Enrollment Team at 757-822-1111.